Jon Stewart: Romney Backers Signal "We Have Voted Enough"
The snarky late-night host mocked the "tepid" tone of last week's high-profile Romney endorsements. 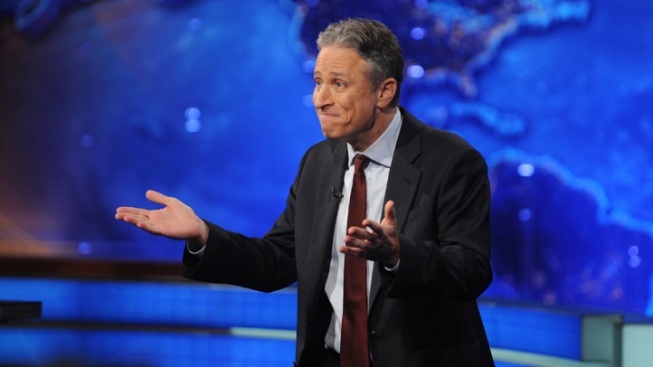 Jon Stewart offered his take on last week's spate of Romney endorsements on Monday's episode of "The Daily Show." Last week, Mitt Romney was endorsed by former President George H.W. Bush, Senator Marco Rubio, and Congressman Paul Ryan. According to many pundits and prognosticators, these big-league endorsements signaled that the Republican Party establishment is finally coalescing around Romney as their standard-bearer—and that the dogged candidate has effectively locked up the GOP nomination. But on Monday's edition of "The Daily Show," Jon Stewart couldn't help but notice the "tepid" quality of last week's endorsements. The late-night host joked that Rep. Ryan's stated reason for backing Romney ("The more we drag [the primary fight] out, the harder it is to win [the general election] in November") is code for "We have voted enough." Stewart also cracked that rising-star Sen. Rubio's boosterism on Fox News ("I am going to endorse Mitt Romney ... because he's going to be the Republican nominee") translates to "I'm going to endorse Mitt Romney because ... what am I gonna do?" "This is presidential politics!" Stewart said. "Fake it better."